In every society we live in, every kind of people are good, you can not tell from someone's face how dangerous it can be for society or country. But it is also true that criminals also flourish between us and we identify them as long as it is too late. There are rules made in order to maintain a system in the country, but many criminals are so vicious that they And nowadays it has become easier to go to other countries due to globalization, the advantage of which is the culprit. And after committing the crime, they go to another country and settle down. Because the rules and regulations of the other country are different from their country, the culprit feels safe on it there. Many of the criminals of India are still living abroad after being robbed of the country, including the 13 million crore PNB scam accused Neerav Modi, Mehloo Chakasi, Kingfisher owner Vijay Mallya, who has allegedly hacked 9,000 crore with the same Indian bank. , Lalit Modi who scandalized IPL, 1993 criminal gangster like Mind Dawood Ibrahim of Mumbai attack. Those who have been living abroad for leisure. You may be wondering if there is no way to catch these criminals fleeing the country, is there no law or provision for this? In fact, the country's investigating agencies issue notice through Interpol to catch such bogus criminals. A total of eight notices are issued by Interpol, which is the world's most spoken languages, in English, Franz, Arabic and Spanish. The most notable information in the notice issued by Interpol is the Red Corner Notice - Red Corner Notice about which You will be listening a lot on TV these days. In the PNB scam, the notice was issued by Indian investigating agencies against accused Nirv Modi and Mehul Vigilance. 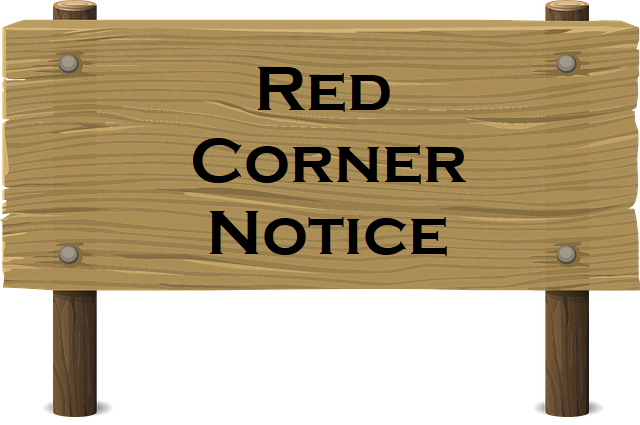 But few people know about what red corner notice is and how it works. Red Corner Notice In a case, the country's investigation is issued by the agency to capture the saggy AroPio. These notices are issued only against those who have run away from crime or fraud in the country, through which request is made to friendly countries. If that person is in his country then he should be arrested temporarily and handed over to the country. Although issuing a Red Corner Notice does not mean that the accused is totally guilty. At the same time, if the disadvantaged country feels that the person is being framed or in his eyes, the person who did it is not a crime, so in this case he does not take any action against him or the country issuing notices to the country Could force the accused to arrest. Before the Nirav Modi and Mehul alert, the Red Corner Notice has also been issued against 1993 Mumbai blast accused Dawood Ibrahim. However, the police of any country have not been successful yet to catch him. The issuance of the Interpol DARA Red Corner Notice does not mean issuing an arrest warrant against the accused. The arrest warrant issued a police or court of the country where the offender has committed a crime, even though in the International Court, such a person can be arrested if he is found to be guilty of arrest warrants. The Interpol never considers the Red Corner Notice against anyone for any reason motivated by political, religious grounds or does not issue notice. Interpol issues notice only when a country appealing notice is standing on all its terms and at the same time, all the facts are given to Interpol. The notice issued through Interpol is very beneficial in catching those criminals who start living life abroad by executing felonious offenses or promotes crimes in the country by sitting abroad.